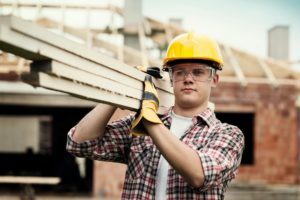 Though many Worker’s Compensation cases get resolved without dispute, it is important to review and consider your rights under the law. Geisleman & Brown, LLP will provide you with a FREE initial consultation to help identify your rights and benefits that your deserve. 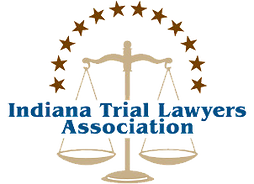 If you are injured while on the job, you have rights and remedies under Indiana’s Worker’s Compensation Act. Is the Worker’s Comp carrier (insurance company) making all eligible benefits available to you? Do you agree with the course of care selected by the Worker’s Comp. physician? Have you been determined to be at Maximum Medical Improvement (MMI), even though you believe additional treatment would be of a benefit? Have you been sent back to work or had your benefits terminated prematurely? Have you been assigned an impairment rating, which needs to be reviewed? Or have you been denied such a rating which you believe is necessary? Geisleman & Brown, LLP will help you decide if your claim is being handled fairly, or whether a formal dispute should be initiated in front of the Worker’s Compensation Board. Worker’s Compensation is the exclusive remedy in Indiana for bringing a work-related injury claim against your employer. This is unfortunate because Worker’s Compensation benefits provide incomplete relief for the many serious injuries which can occur on the job. For example, an employee injured at work in Indiana is not entitled to pain and suffering damages under the Worker’s Compensation Act. In many cases, however, the actions of persons not under the control or direction of your employer can cause or contribute to the injuries or losses sustained. In these settings a Third Party Liability claim can be pursued. Third Party claims are not restricted to the benefits available under the Worker’s Compensation Act, which means that pain and suffering damages, and losses otherwise limited by Worker’s Comp. become available. As you can see if you browse the areas of practice on this site, Geisleman & Brown, LLP are experienced injury lawyers who can help you evaluate other possible claims which might tie-in to the work related injury. If you would like to discuss your legal options, call us today at 260-420-2001.